VW Type 4 Carb Linkage for Type 4 engine with Upright Fan Housing, with Weber IDA, IDF and Dellorto carburetors. This linkage is designed for Type 4 engine with Upright Fan Housing System. 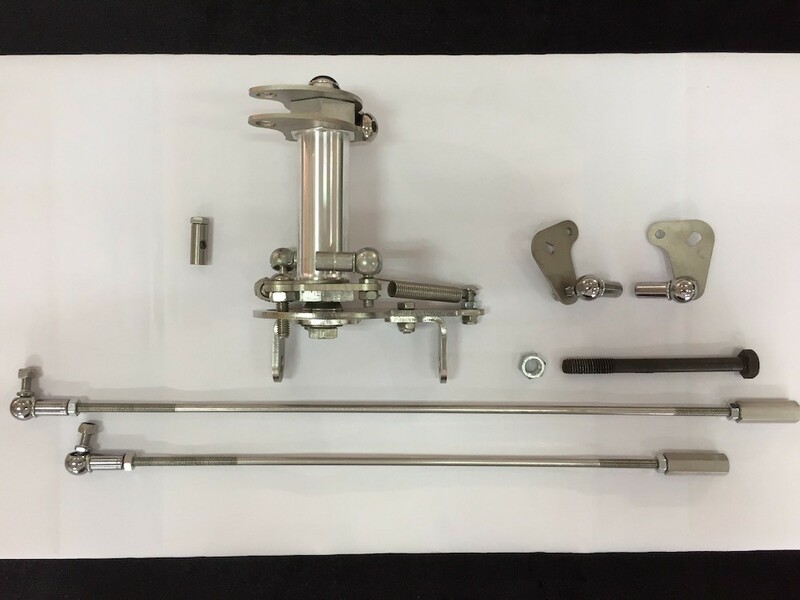 This Pushrod Carb Linkage system has build in “ Quick Release “ which attached to both sides of the carburetor, allowing for removing / fitting without the need to unscrew the linkage and resetting. The linkage is mounted on the engine case, longer bolt is required and included. The location of the Throttle Cable required to be the same as standard late type 1 engine, i.e. 1200 ~ 1600 cc type 1 engine. Build in Quick Release link ball system, easy to remove intake without the need to adjust the linkage again and again.